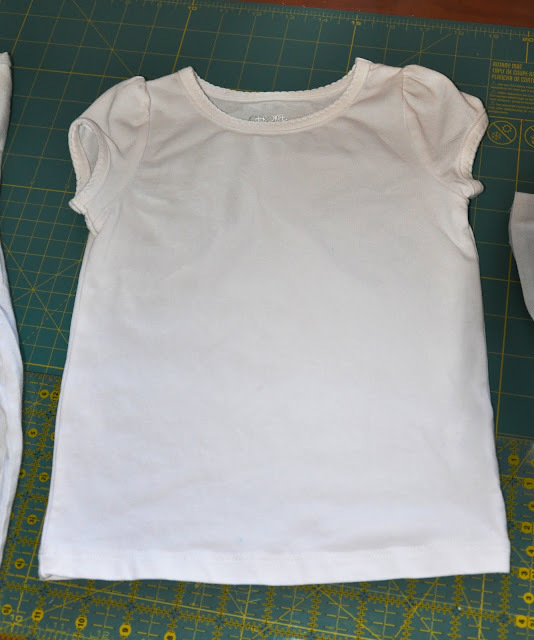 I have been participating in Elsie Marley Kids Clothes Challenge this week and am loving the motivation to get some stuff done! It's also casued me to get a little creative. I decided to buy some plain T's at Target and get to work... I'm calling this a Drive Thru Tutorial becuase it's quick and easy. Let me put it this way: It took about 20 minutes! Next grab a thrifted T Shirt. I'm always wandering around goodwill looking for XL T-shirts. 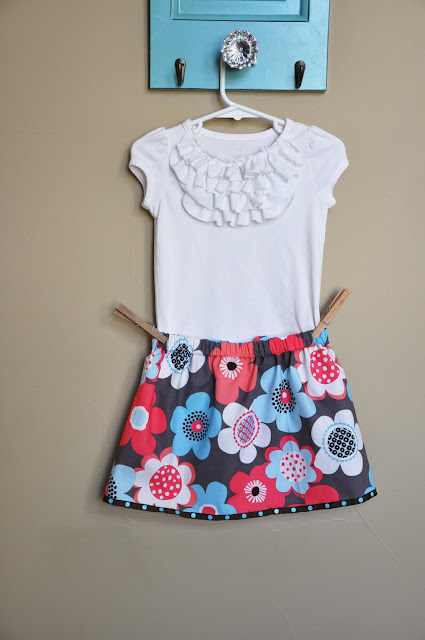 They are great for extra material, and they are super soft. This particular shirt was long sleeved, and I decided that the length was great. And started cutting my 1.5" strips. You can go wider too, whatever style you like. 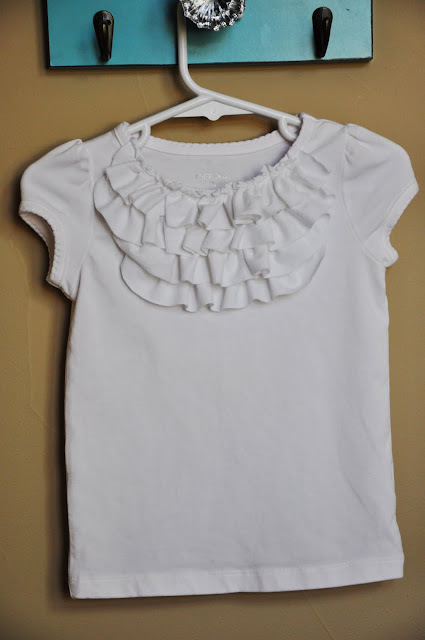 1.5" worked for me becuase I didn't want the ruffles to overwhelm the shirt...and my 22 month old's neck! 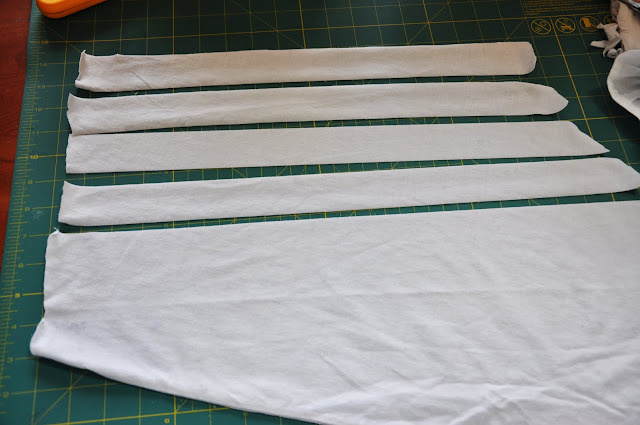 Run a basting stitch about 1/8 inch along one long side (sorry, didn't take this pic) and pull to create a ruffle. 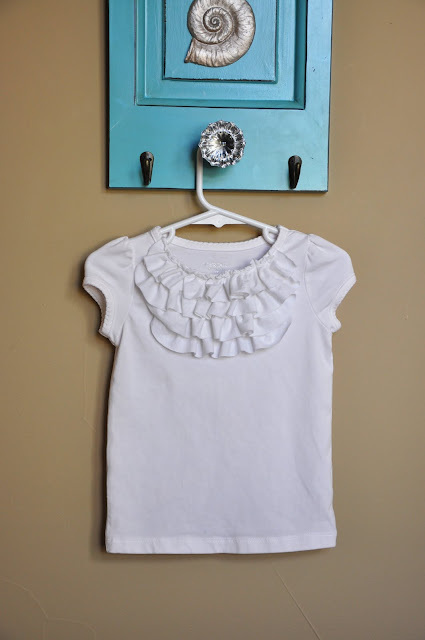 Attach the ruffle at the neckline. 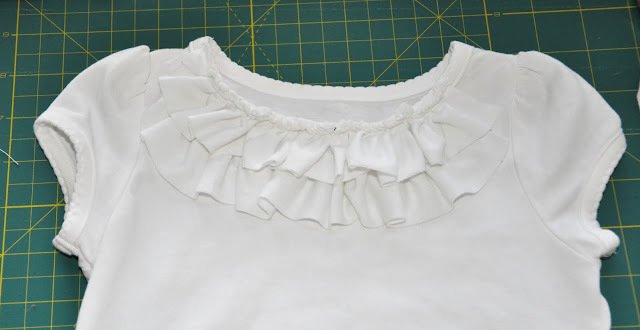 I decided to keep the ruffle more towards the front of the blouse. 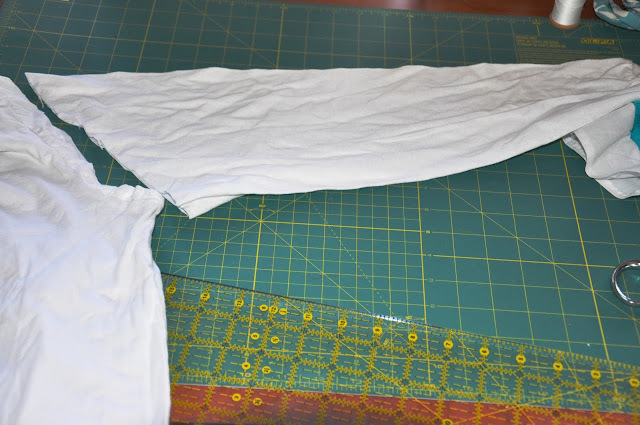 Pin it directly onto the neckline and stitch down. 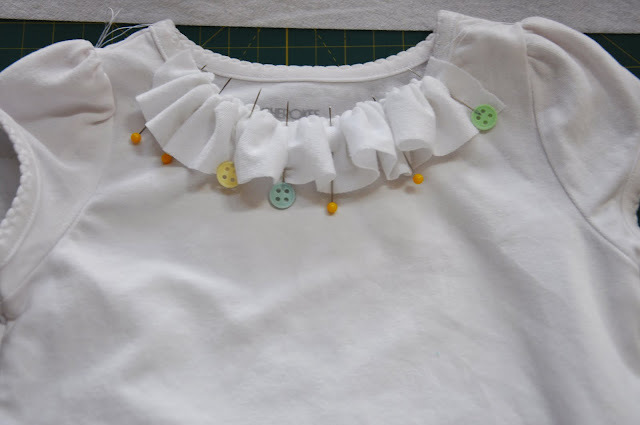 Continue with the other two layers with the same technique, gradually making the ruffles shorter to keep the cascading look.